What's better than having a front-view camera for your car? 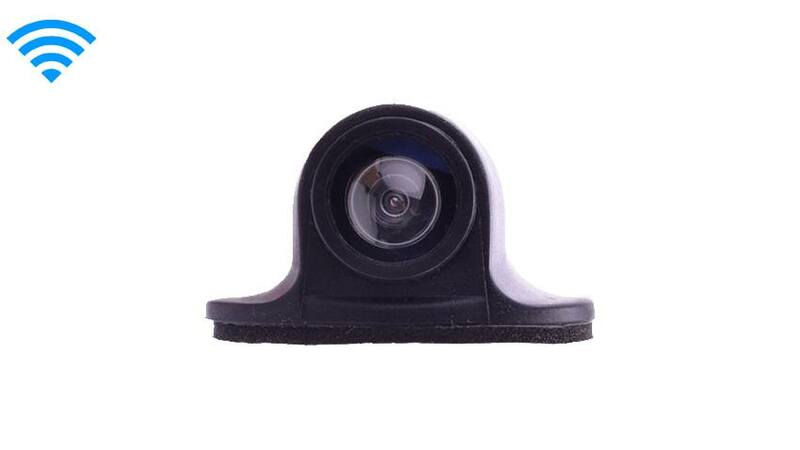 How about having a wireless front-view camera for your car? That's right. This popular camera is not only discreet, durable and capable of capturing high-quality video; it's also a breeze to install and operate. Small enough to fit in the palm of your hand and yet powerful enough to capture the entire journey, this is automotive surveillance technology at its finest. Affix it to your car or RV; no one will notice, but this seemingly humble technology will bring a whole new perspective to your drive. The weatherproof casing is capable of withstanding moisture, heat, and even the more aggressive elements. The 120-degree-angle design makes this the ideal solution for cars, trucks, SUVs and recreational vehicles seeking a broad perspective. Best of all, this innovative front-view camera records in full color and even features military-grade night vision. And with the 50-foot range, you won't miss a thing. This wireless vehicle front camera has a 70ft range that can go through any vehicle. At TadiBrothers, we only stock the best because we believe that a company should take pride in its products. In fact, we're so confident you'll love this reliable wireless dash camera that we're offering a 30-day, 100-percent money-back guarantee. So order one of your very own, experience this forward-thinking technology for yourself, and capture the moments that matter.